Secure your "American Dream" this year. Choose this ranch instead of a condo whether you're a 1st Time Home Buyer, Investor looking for a rental opportunity or a Downsizing Buyer. Just imagine all of the enjoyment you'll have when its time to come home to your private backyard oasis for gardening and grilling, yet spacious enough for outdoor entertaining easily accommodating a huge firepit or tinkering in your own detached garage that includes an attached screened room. After imagining the great outdoors you will come home to a single level floor plan that offers a living room with hardwood floors, a bistro-style kitchen with an eat-in dining area, walls of storage in the laundry room; two comfortable bedrooms and a full bath with a tub/shower. This home can truly be a reflection of your taste and style while being extremely manageable and affordable. 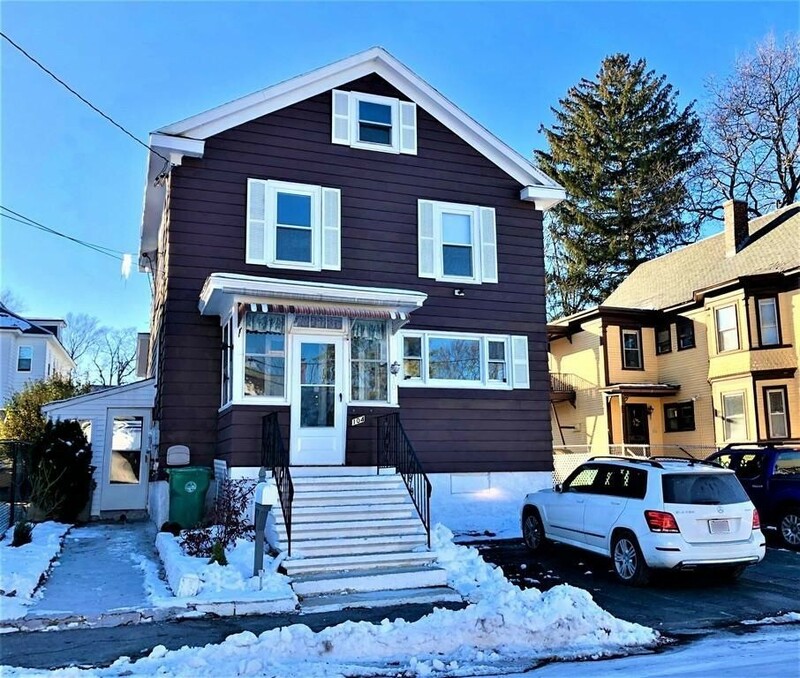 Location is another benefit that must be mentioned with the LOOP, Starbucks, Mann Orchard, and tax-free New Hampshire nearby. GREAT HOME!!! Move in ready Ranch with three bedrooms, 2.5 baths and over 1300 sq. ft. of living space.Large Kitchen with separate dining area. Living Room with fireplace. Sunroom porch off the Kitchen.Flat back yard all fenced with shed. 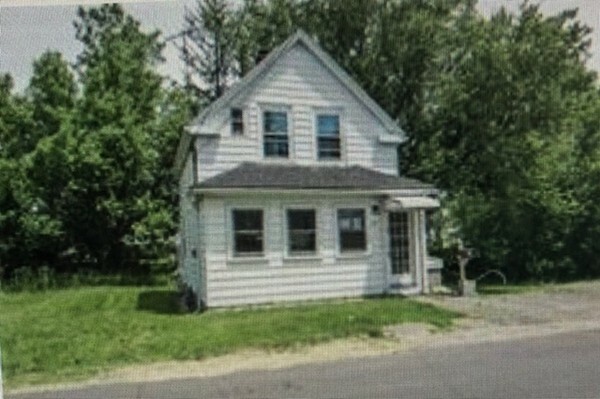 Large finished basement with a fireplace has great Inlaw Potential! This home has so many possibilities. A true GEM!!! Like new home (built in 2004 but has been recently renovated). This oversized (approx. 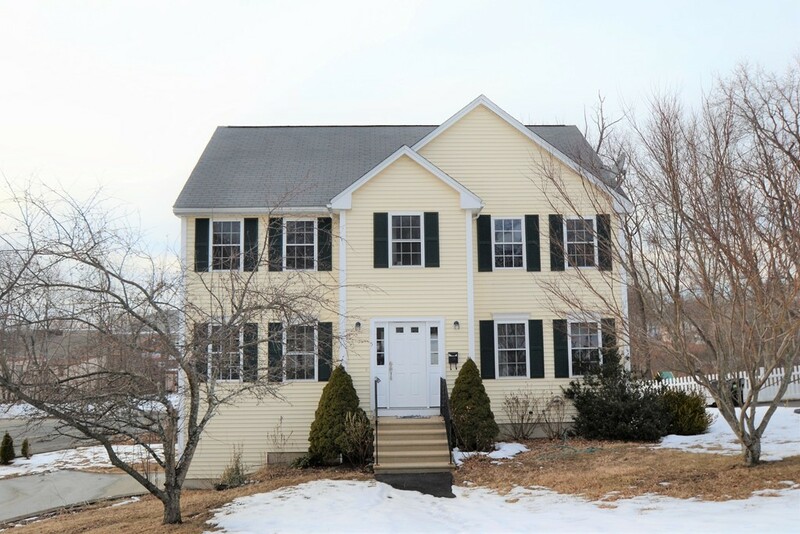 3898 sq ft)Colonial offers 2 gas fireplaces, 3 bedrooms and 4 bathrooms. Fireplace great room on 1st floor with an adjoining 4 seasons porch overlooking the backyard. Walk-out lower level offers a second great room with fireplace and 1/2 bath. Mature landscaping with irrigation. 3rd Floor walk-up attic. Immediate occupancy is available. You will not want to miss this stunning home located in the Belvidere area of Lowell.. 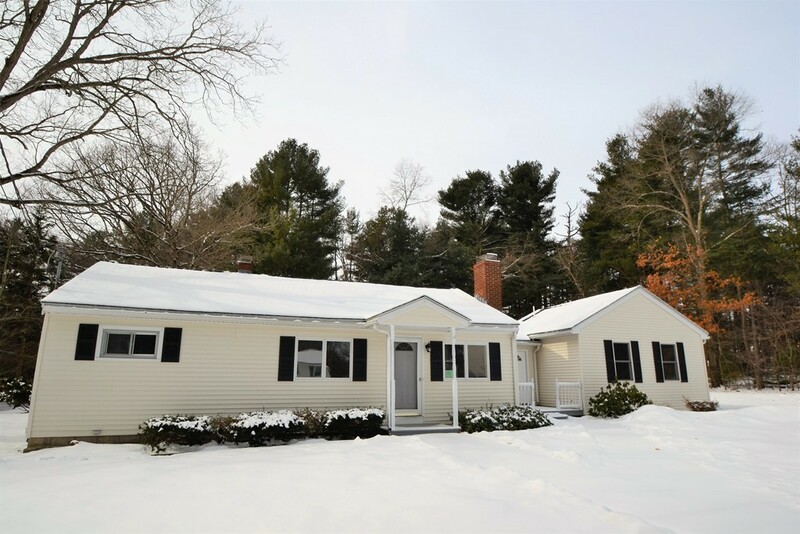 The location of this home provides you with the convenience of major highways and is also located near Long Meadow Country Club. This home his great for entertainment, family time, and privacy as well. You will feel right at home with the 5 bedrooms, 3 full baths, a beautiful great room which also features a bar. Stone and granite counter-tops, 3 fireplaces, built in surround sound are and many things that make this 3 level property feel like your home. Featuring slider doors in the kitchen and amazing landscape of the fenced in backyard. There is plenty of parking with having extra space for guests including their own kitchen, dining room, living room, a full bathroom and two bedrooms in the lower level. Come take a look for yourself and enjoy the spacious comfortable and convenient living, The back yard bar and pool will make you feel like you are on vacation! Three Bedroom Cape offered on Christian Hill awaiting your personal touches. Interior consists of two bedrooms on the first floor along with spacious livingroom with wood burning fireplace, and eat in kitchen. 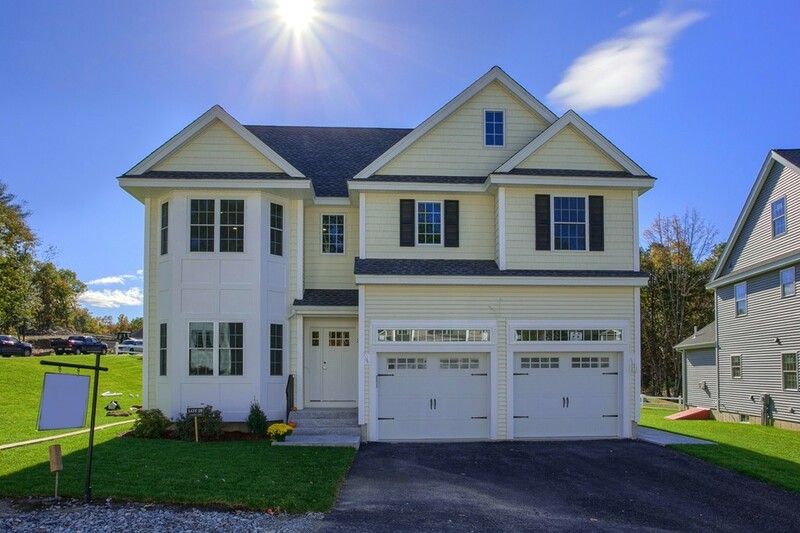 Second floor can be your master suite with full bathroom and hardwood flooring. Property is situated on corner lot with enclosed porch off the back of the house, and storage shed to stay! Please read firm remarks for bidding process. Big family? No problem! This 5 bedroom, 3 bath over-sized ranch located on a cul-de-sac has plenty of space for everyone! 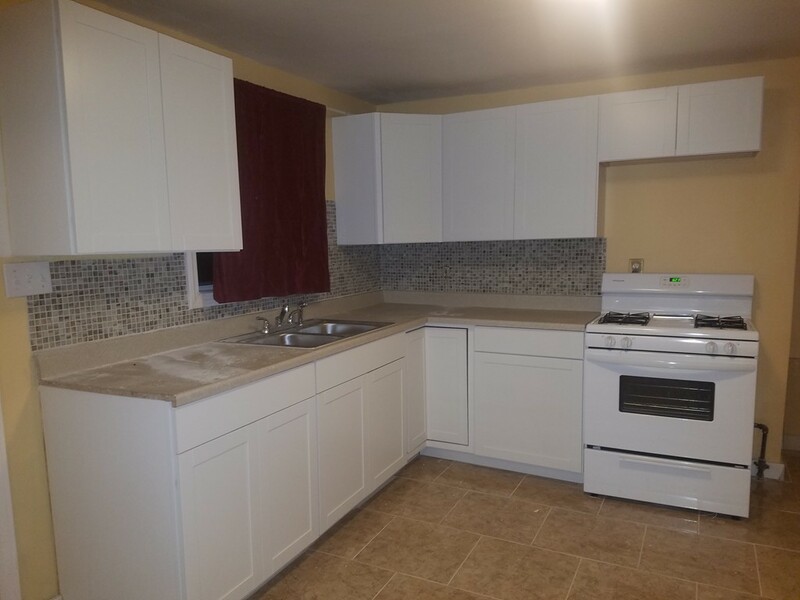 The updated kitchen features granite countertops, glass tile backsplash, and stainless steel appliances. Entertain in style in the large dining room with cathedral ceiling and skylight. The master bedroom is the ultimate retreat with a master bath and it's own private deck with a hot tub. Got cars? There is garage space for 5 of them! On warm summer mornings, sip your coffee on the front porch or relax by the pool on the multi-level deck. The finished basement is perfect for a game room, play room, home theater, and more! This home is a must see! Who wants the Mt Vernon area? Beautiful Home looking for a new owner. 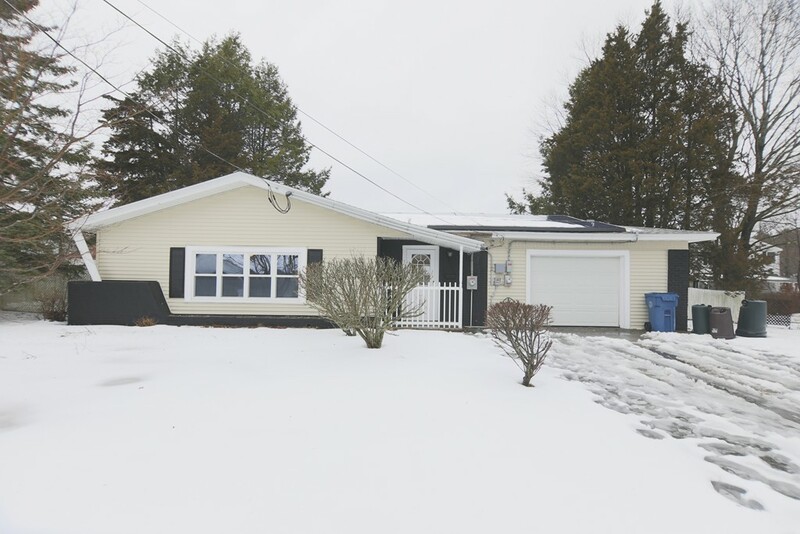 Great open concept Ranch with 3 large bedrooms. Beautiful kitchen and lots of space. Perfect yard and Attached garage. All the work is done just come enjoy this beauty. Looking for a home that you can move right into? 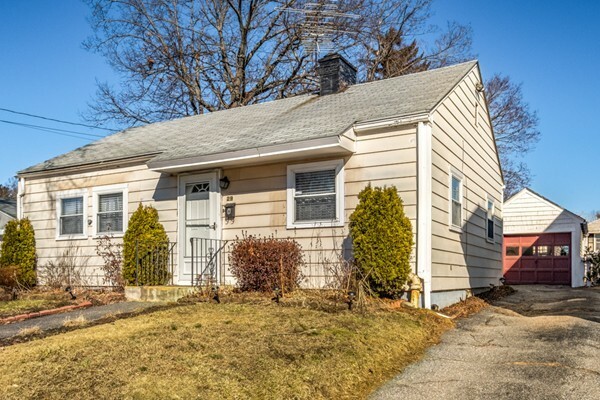 Come see this well-cared for Single Family on Tower Hill in Lawrence! All the major items have been updated for you. 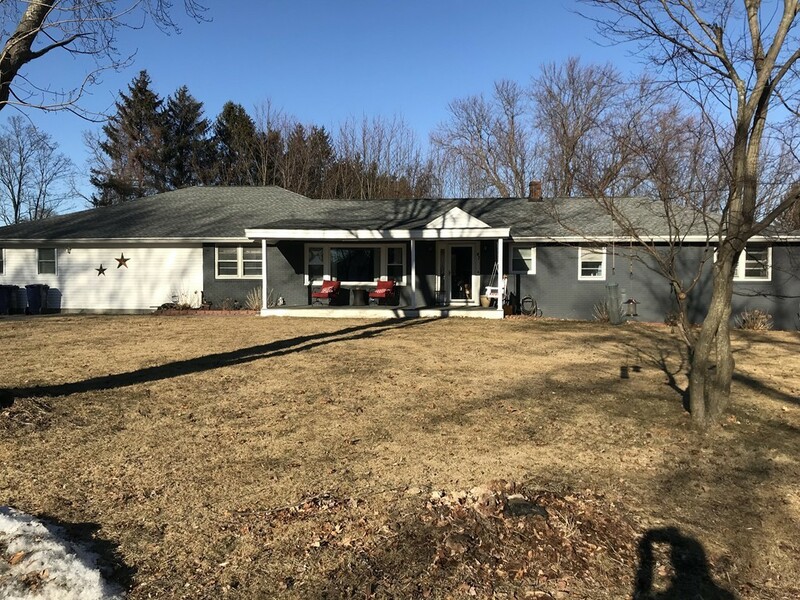 Newer Roof, Brand New Furnace, New Hot Water Heater, 200 Amp Electrical Panel, New Plumbing, New Appliances, New Flooring, Replacement Windows, New Porch, New Garage Door with Opener, Updated Baths, Large and Clean Basement, Laundry Area and Fresh Paint! This inviting home also has an extra room filled with windows and natural light that can be used as an office or a den. The additional adjacent lot offers another 5,000 sq.ft. of land and the Newly Paved Driveway w off-street parking for 4 cars completes this package for you! Make an appointment to see it today! 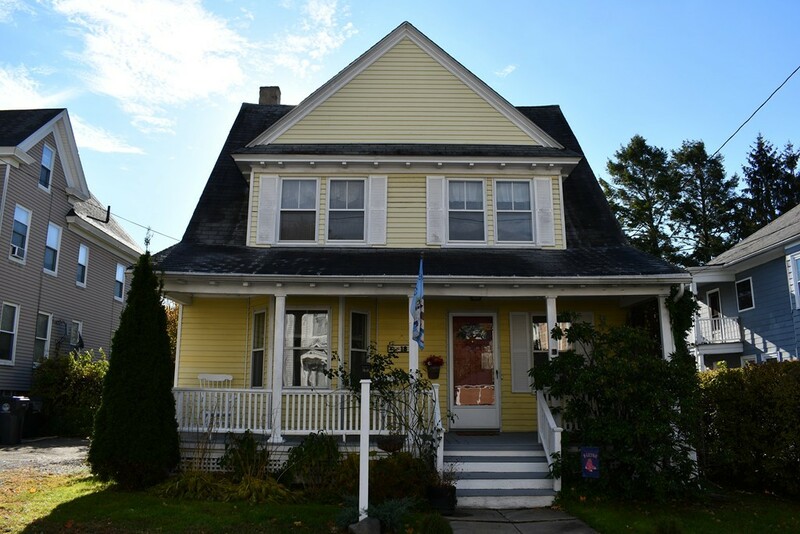 **Back On The Market Due To Buyers Financing** Welcome to this spectacular colonial property with many great features to love. 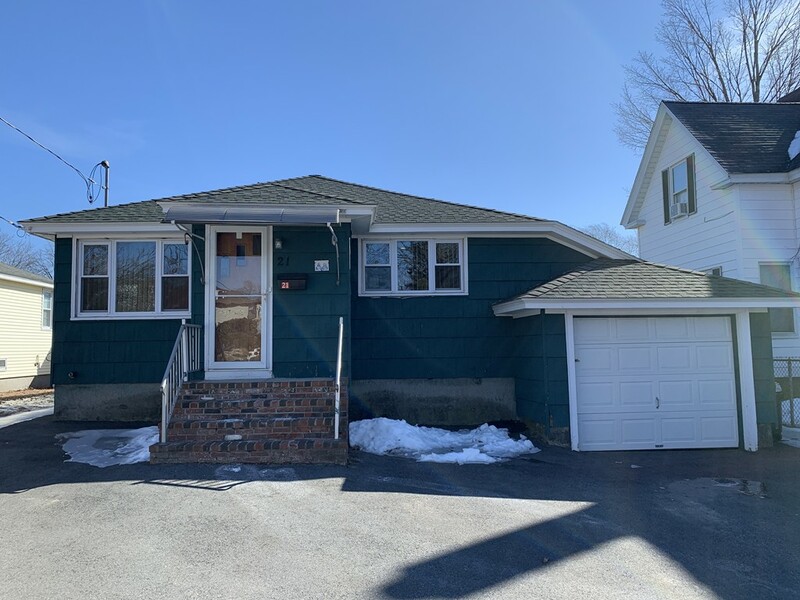 This home features ample living space inside, hardwood floors, a finished walk up attic, a spacious fenced-in yard, 2 full bathrooms & a new heating system & hot water tank. 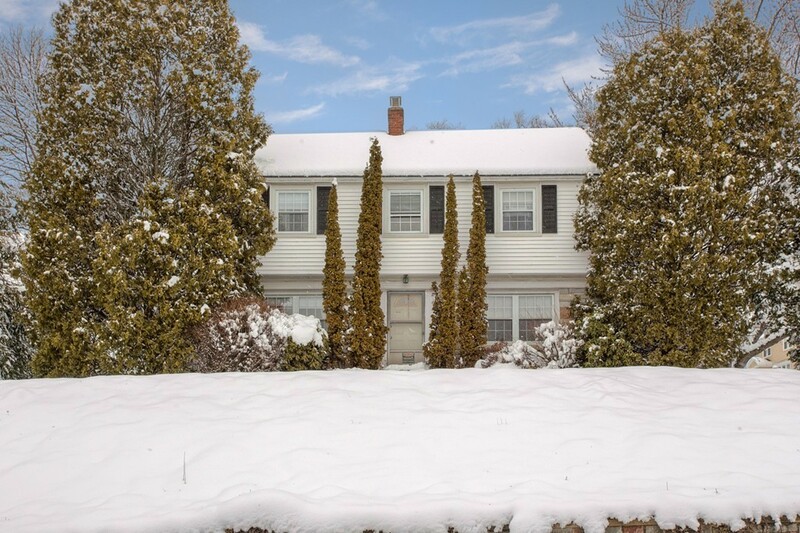 Beautifully updated Colonial in a fantastic location set on a Cul de Sac! Welcoming Foyer/sitting room opens right to the deck or enter into the GORGEOUS Granite and Stainless kitchen, gas cooking with a Breakfast bar & coffee station with beverage refrigerator that opens to the Dining room. Sunny living room with fireplace and pretty windows and doors. Gleaming hardwood floors! Recently updated Master Suite with Walk in closet and a STUNNING master bath with tiled, walk in shower, 2 vanities, and closet. 3-4 bedrooms, 2.5 baths, too many updates to list! 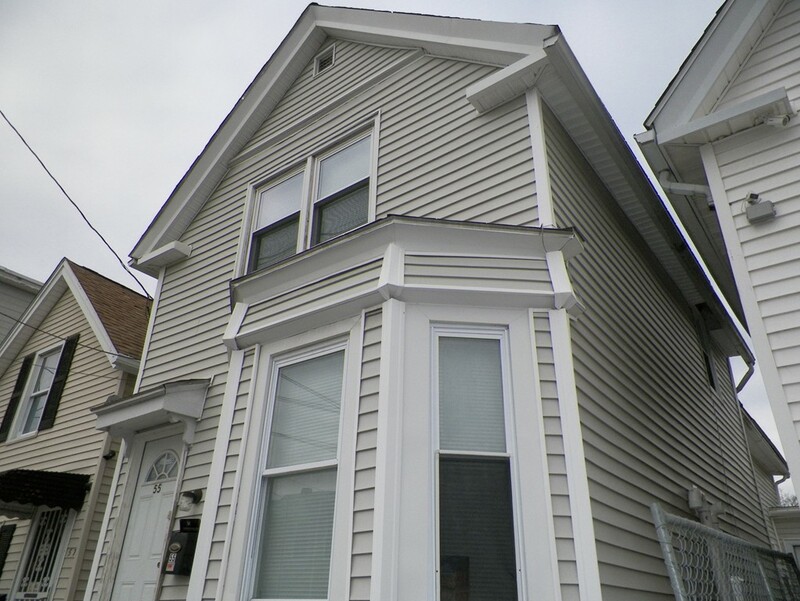 Central A/C, new heating system and so much more! Minutes to Shopping at the Point and Commuter Routes! Come in and Enjoy! The best of both worlds! Unique style contemporary home situated on a farm ideal for small animals and poultry. 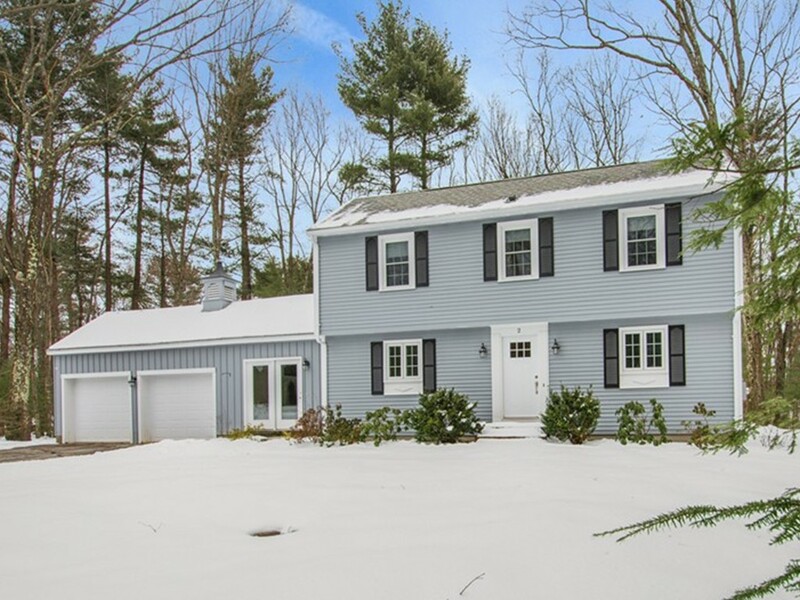 Nestled on a quiet street just down the road from the Townsend State Forest and the Mass line. Inside this home features floor to ceiling windows that lets the sun shine into the front sitting room. The living/dining room boasts a floor to ceiling "Russian Fireplace" which can heat a wide area. The raised kitchen and bathroom adds to the unique feel of this home. Off the HEATED GARAGE there is a mudroom for storing backpacks, sports equipment, etc.. The family room has views of the barn and pasture and the large vinyl deck is ideal for warm summer evenings. Upstairs you will find the bedrooms and a full bath. A Bedarus furnace provides a choice of heat source, oil or wood. Out back is where all the fun begins! The barn features several stalls ideal for goat, sheep or a small pony. Hay loft holds many bales. The large pasture will keep them happy to graze all day. Beautifully remodeled home. New kitchen and living room with hardwood floors. Updated bedrooms and bathroom with tile floor. Easy highway access, close to shopping and restaurants. Don't miss out on this opportunity! Well maintained Colonial has been cared for by it's owner for the last 25 years!! 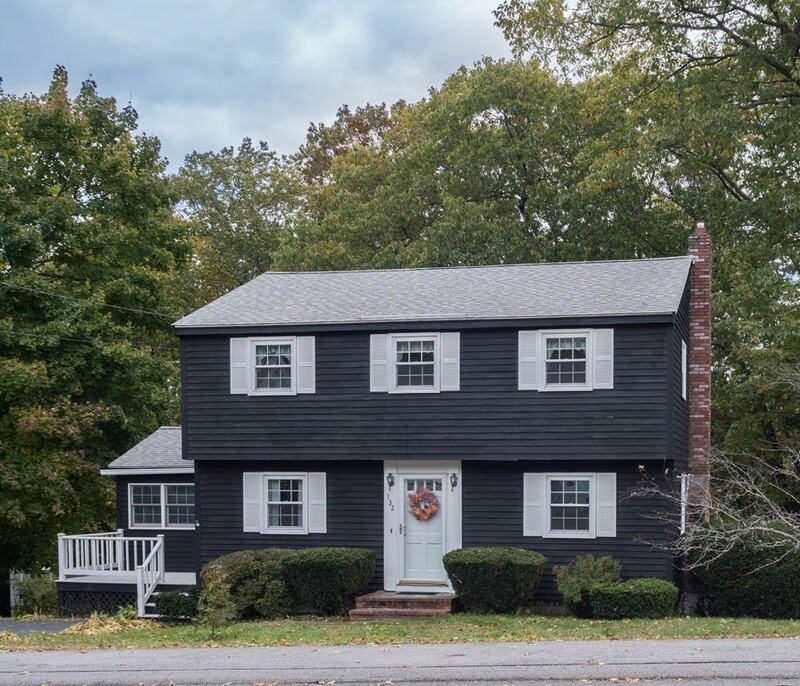 Located near the Methuen line, this classic Colonial is where you want to call your next home! 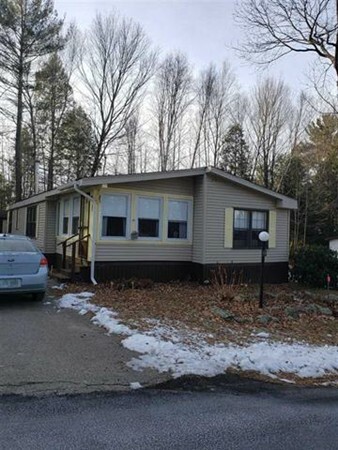 The 3 bedroom, 2 bathroom home features a fireplace living room, dining room, kitchen, sunroom, 3 good sized bedrooms, security system, whole house generator and lots of storage! Single garage and off-street parking, a shed and a private yard. Convenient, easy access to highways, shopping, and all. 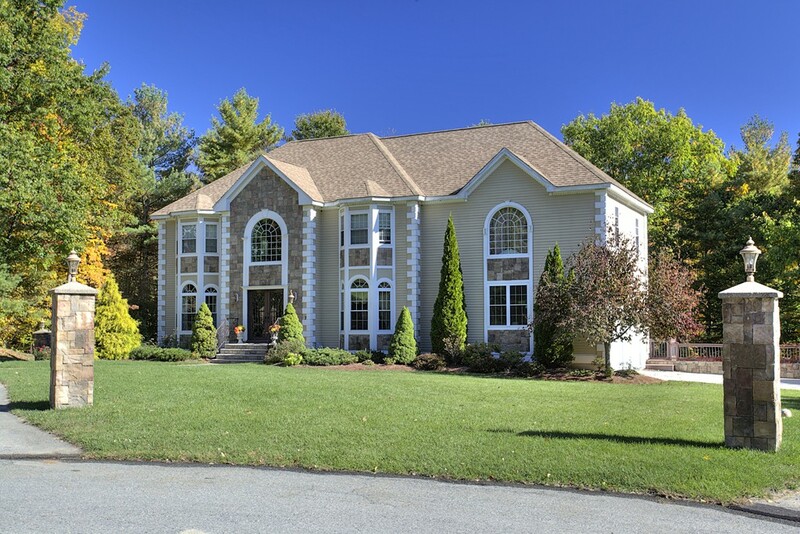 Incredible Stone Faced Hip Roof Colonial ! From the Grand 2 story foyer With marble floor and stairs with wrought iron rails to the high ceilings, columns, and oversized decorative trim. The attention is in the detail and this home has more than most. Great 24 x 26 Family room that leads to the wrap around deck overlooking the heated inground pool.4 Bedrooms with high ceilings , Deluxe Custom Cherry kitchen with oversized granite counter tops. Lower level is set up to entertain complete with Summer kitchen that leads to the pool area., 3/4 bath and fireplaced living area. Easily converts to Au Pair Suite or in law apt. All this at the end of a quit cul de sac on a great fishing pond, ideal for small craft , kyaking, ice skating, snow mobiling. 4 garages for all the toys, 3 fireplaces, walk attic, and the list goes on and on. Agent has a personal interest in property. 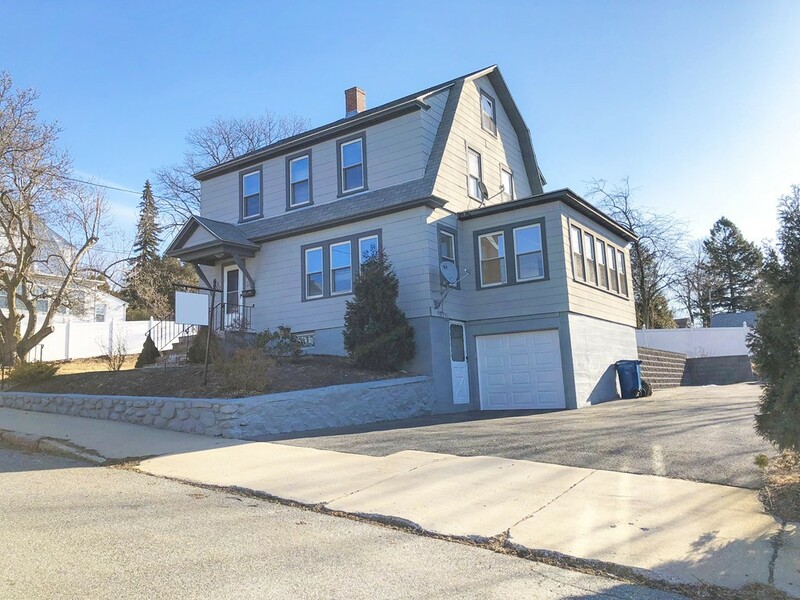 Bright and Spacious Revere single family home featuring 8 rooms. First level features updated fully applianced eat in kitchen. Large living room with high ceilings and hardwood flooring. In addition to the dinning room there are two additional rooms to accommodate your needs, den, home office or playroom? Laundry is also conveniently located on the first level. Three bedrooms and one bath complete the second level. 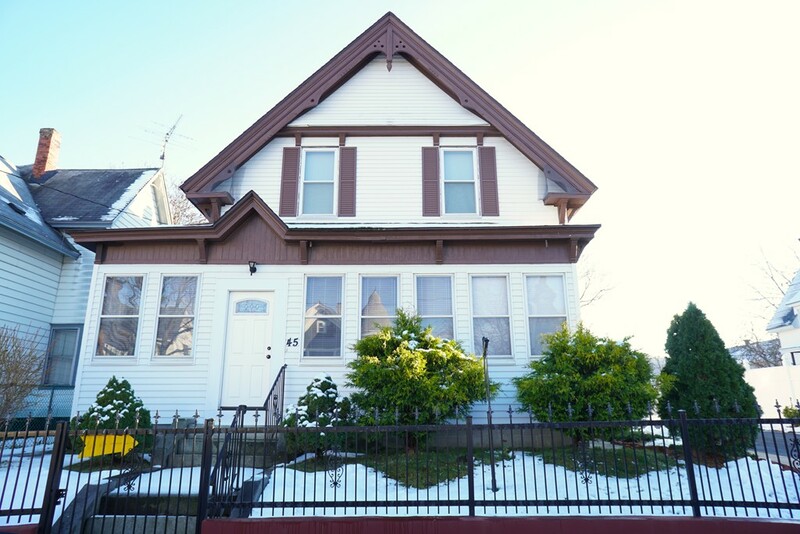 This property boosts, newer windows, heating system, central air and roof. Nice green space in the back yard and two sheds for storage. Back on market pending signed releases. 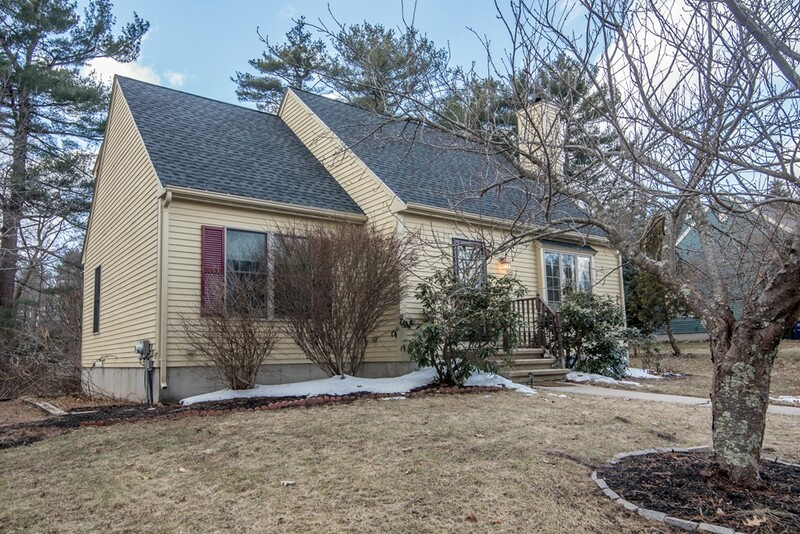 Looking to reside in Billerica MA?! Look no further! Welcome to this bright and inviting beauty ready for you to make it Home! Dead end location one level living with a recently replaced roof, vinyl sided exterior on a level lot with large backyard area with deck ready for those summer fun moments! As you walk in to your home you are greeted by the living room that features a fireplace, beamed ceiling and gleaming hardwood floors. 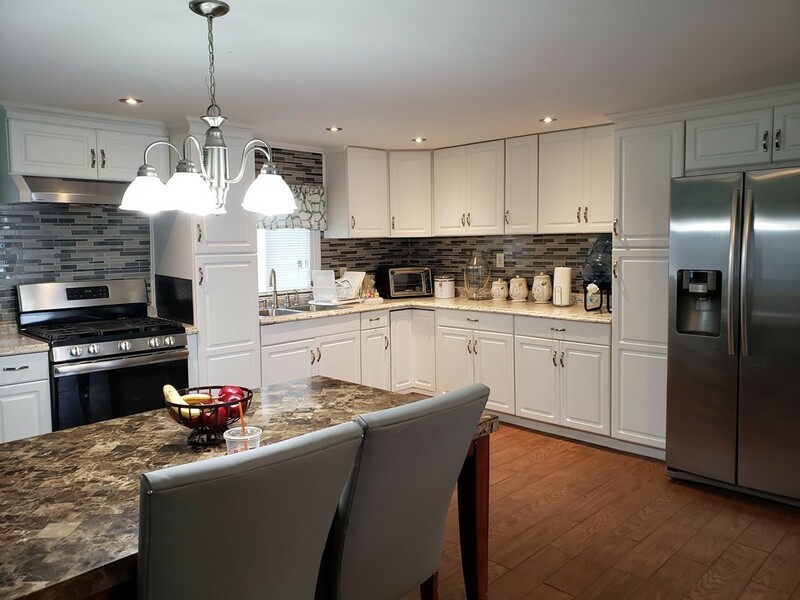 As you proceed you are welcomed by a spacious eat in kitchen equipped with new appliances, granite counters with a mosaic back-splash and a breakfast bar! But wait there is more! Home also features an over-sized master bedroom with walk in closet and private bath, 2 additional bedrooms and a main bath all on the main level! Ready for entertainment, movie night or just watching your favorite sporting event? This home features a spacious lower level room with a full bath, laundry area as well as storage area! This is it! Make this awesome home yours today! 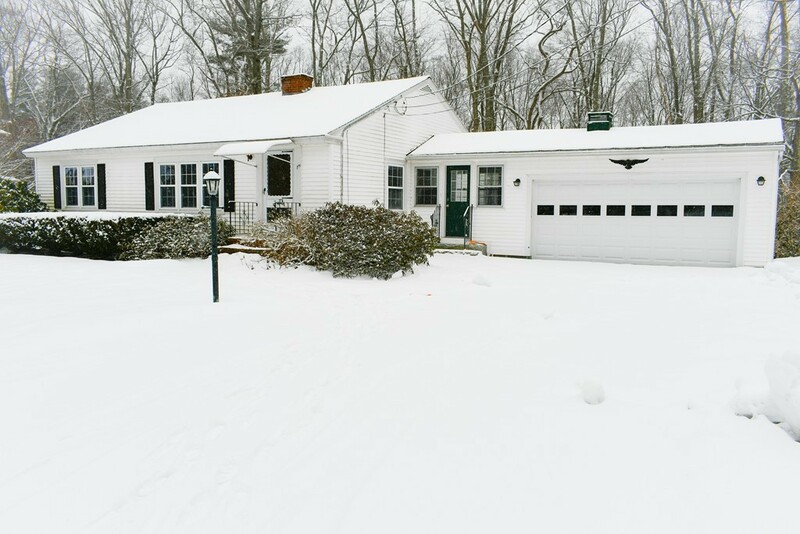 Well maintained ranch offering 6 rooms, 3 bedrooms and 1 bath along with a 3 season porch. Updated kitchen including granite counter tops, oak cabinets, chair-rails, microwave, dishwasher, refrigerator and a new stove. Spacious dining room with hardwood flooring and good sized bedrooms offering ample closets and storage. French doors open into family room with built in shelving and fireplace. 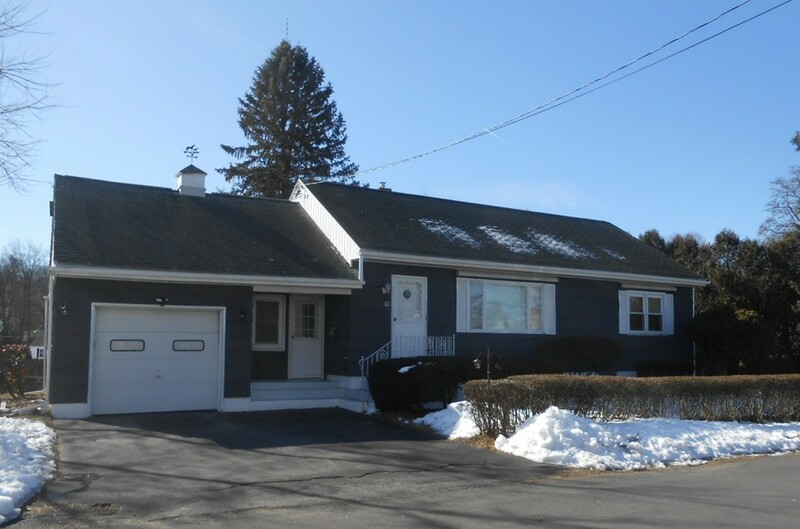 Vinyl siding, 7 year old furnace as well as one car under garage with ample parking. 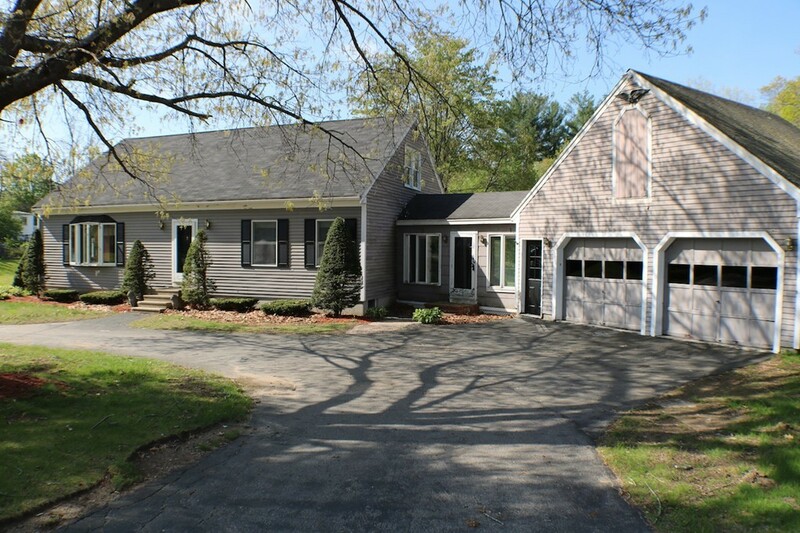 Great commuter location with access to 93, 495 and the MA border. Cozy Ranch conveniently located near The Loop Shopping Center. Easy access to the highway. 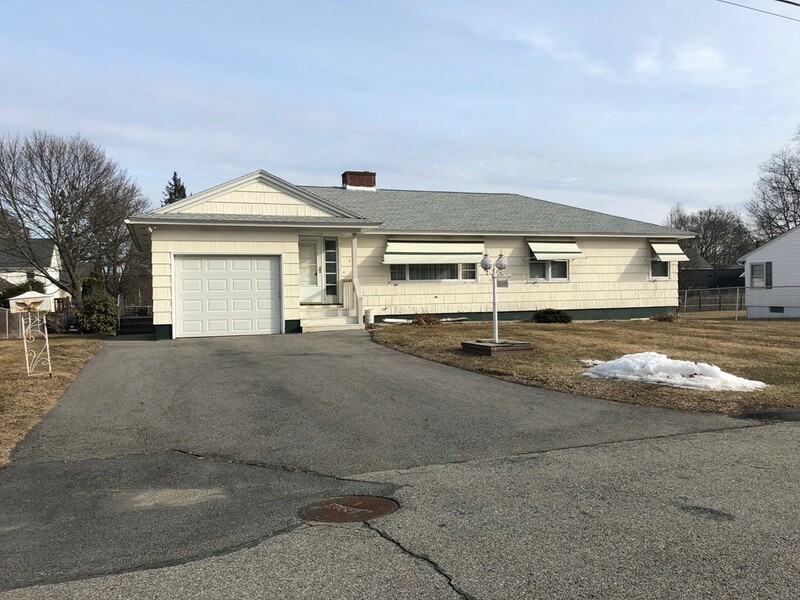 Property features open concept eat in kitchen, dining room and living room, 2 good sized bedrooms and possibility to convert it back to a 3 bedroom (Tax records indicate this home is a three bedroom). Full bathroom. Large basement ready to be finished. Good sized yard for Summer BBQs. Side street with minimal traffic. Waterfront - Lost Lake. Charming cove Location on a dead end! Swimming, boating, kayaking & sailing, water skiing, and fishing! Ice fishing in the winter. A beautiful place to live and entertain! Don't miss out on this wonderful place to call home. Perfect for pets. Enjoy vacationing year round.Outside Pizza oven. Walk into your future home and feast your eyes on this beauty! 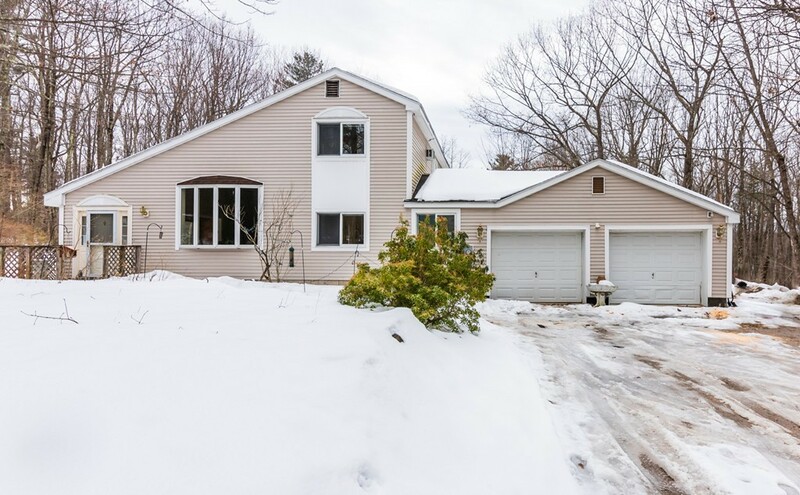 Bright, inviting and spacious home featuring central air throughout, gleaming hardwood floors on 1st level, a family room with a gas fireplace perfect for quite moments or entertaining. Home also features a formal dining room with wainscoting & crown molding and an additional room that is ready for your imagination. 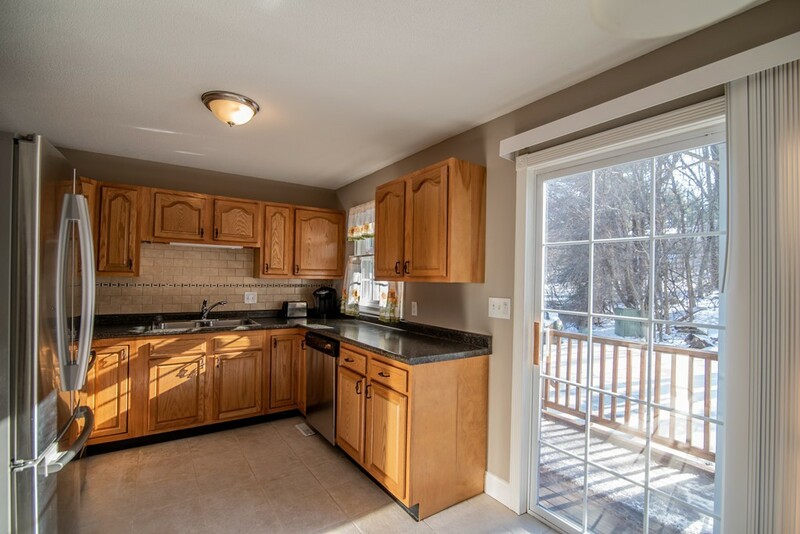 Newly remodeled kitchen provides you with upgraded white shaker cabinets, granite counter and a center island, ideal for quick meals or breakfast on the go! Summer fun awaits with your wood deck & stone patio. Second level provides 3 spacious bedrooms as well as an oversized master bedroom with bath and walk-in closet. But wait there is more! Walk-up finished attic creates endless possibilities for added living area & lower level offers a finished area ready for home office and or game room as well as storage. Home provides close proximity to Interstate 495 & many shopping options! Make this one yours today! Adorable three bedroom home located in a large, wonderful, and quiet neighborhood in Groveland. Remodeled and spacious kitchen with plenty of room for dining, complete with slider to a large deck which overlooks the level back yard. Good size family/living room with fireplace with hard wood floor under the wall to wall carpet. Two first floor bedrooms, one has been converted into a spacious laundry room, the other has an oversized slider with exterior deck. Master bedroom on second floor has a walk in closet. Two additional bedrooms and a 3/4 bath on the second floor. Basement for further future expansion. 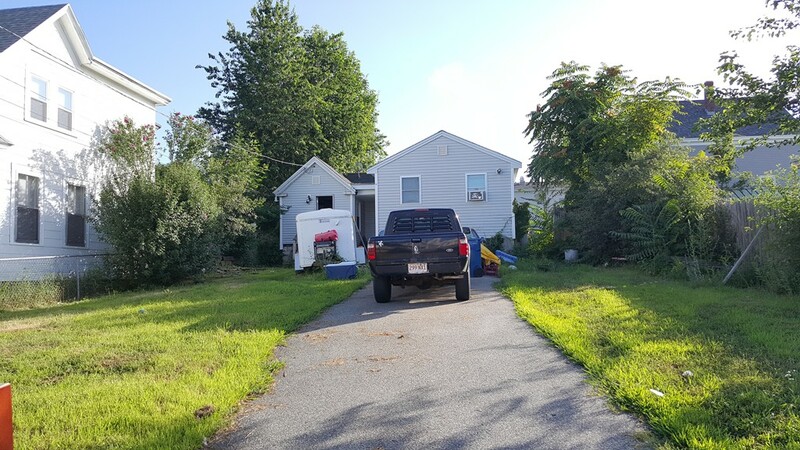 Updated electrical panel, new exterior siding, 10 year old roof, 10 year old furnace, 5 year old hot water heater, replacement windows on the first floor. This home had a second story added in 1981, a very flexible floor plan, with all the space you need! 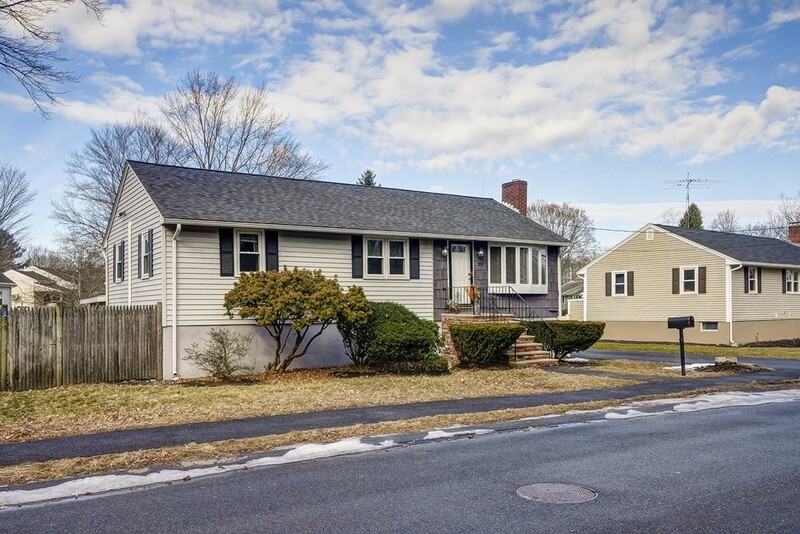 Excellent starter home in South Lawrence, centrally located near schools, recreation area, commuter rail, Rte 93 & 495. This property features 6 rooms, 3 bedrooms and 1 bathroom. Better than paying rent ! 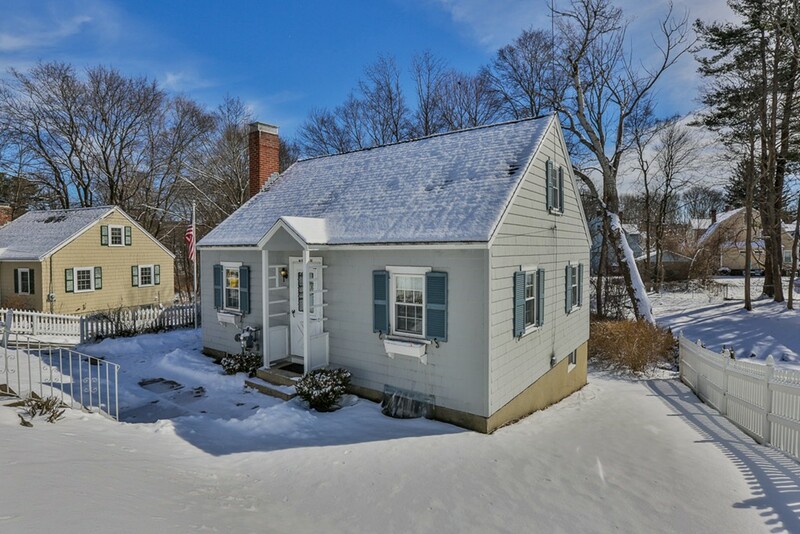 Showings Start at Open House Saturday 2/23/19 12-2. 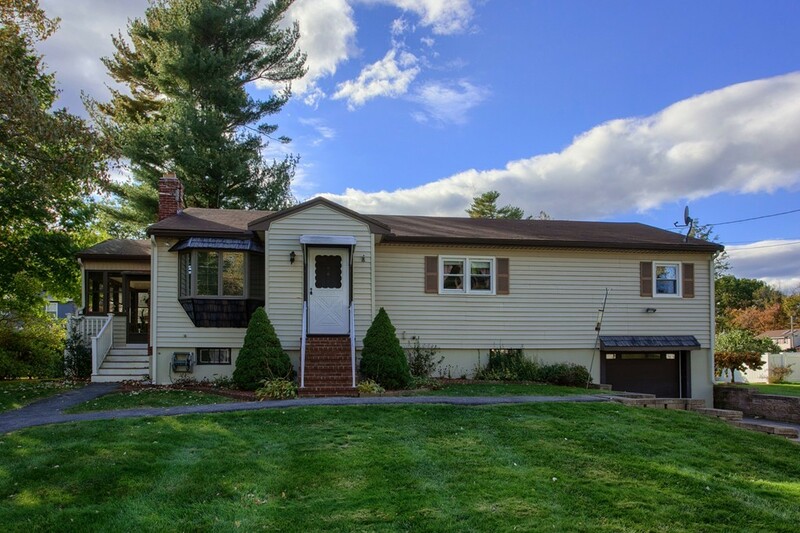 Nestled comfortably on a little over half an acre, is this lovely 1216 sq ft ranch style home. 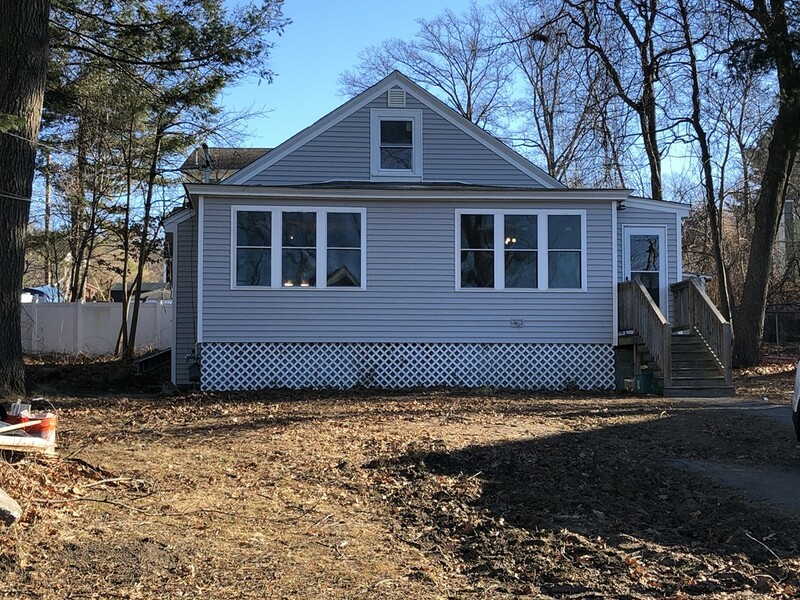 This home consist of 3 Bedrooms, 1 Bath, 2 Car garage with breezeway, gleaming hardwood floors, granite counter top, living room with fire place & unfinished basement. Full of charm and character, this property also allows for you to add your personal touch while adding value. Don't miss this amazing opportunity. An updated ranch! 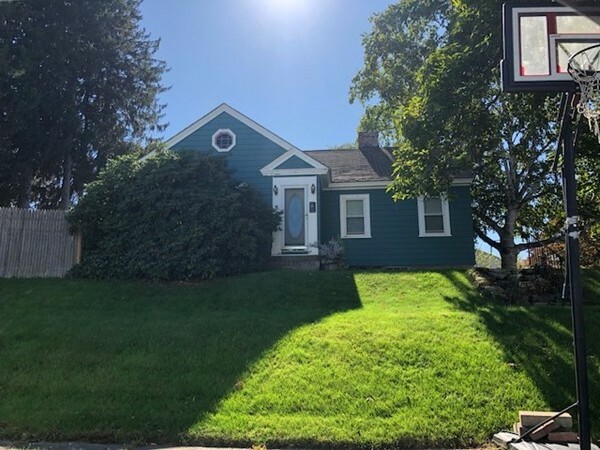 This property features a fully updated kitchen with granite counter tops, three good size bedrooms, updated bathroom with walk-in tile shower, finished lower level with a huge family room and an office. Roof, all windows and heating systems and tankless water heater are fairly newer. Drive way has recently been repave. Basement finished with an extra half bath. Nice flat backyard and close to The Loop and major highways. Nothing to do but move-in. Welcome this hidden gem with too many features to list. 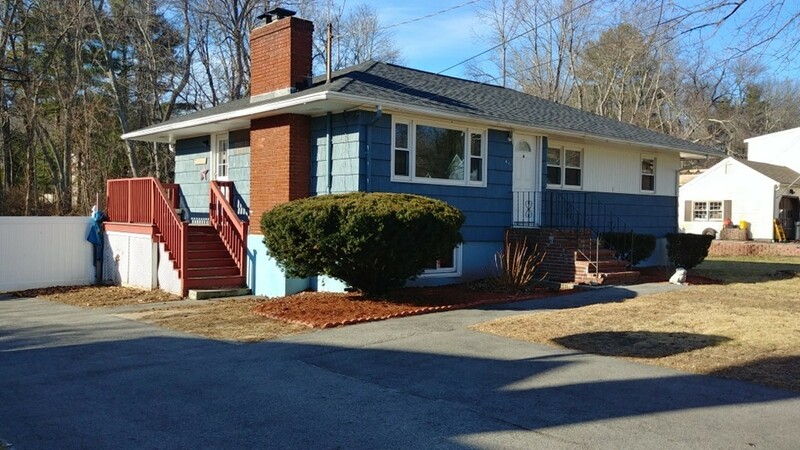 Located very conveniently, close to parks, walking trails, highway 495, and Lawrence General Hospital. 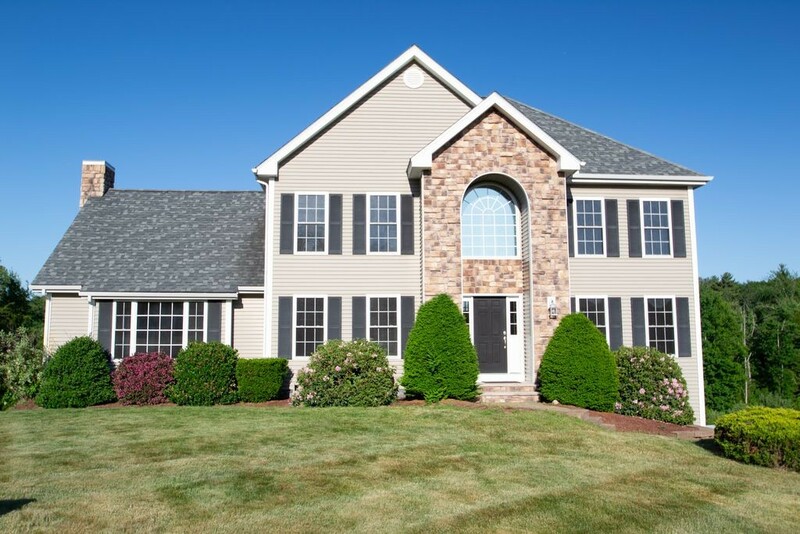 This 4 bedroom colonial will impress and amaze. It offers spacious bedrooms, and closets, ample parking and outdoor space, an open concept kitchen with a bonus area. Newer electrical and forced hot air heating system and many more updates. This one will not last long visit the open house or book your appointments today. A great home for a 1st time buyer or downsizing. 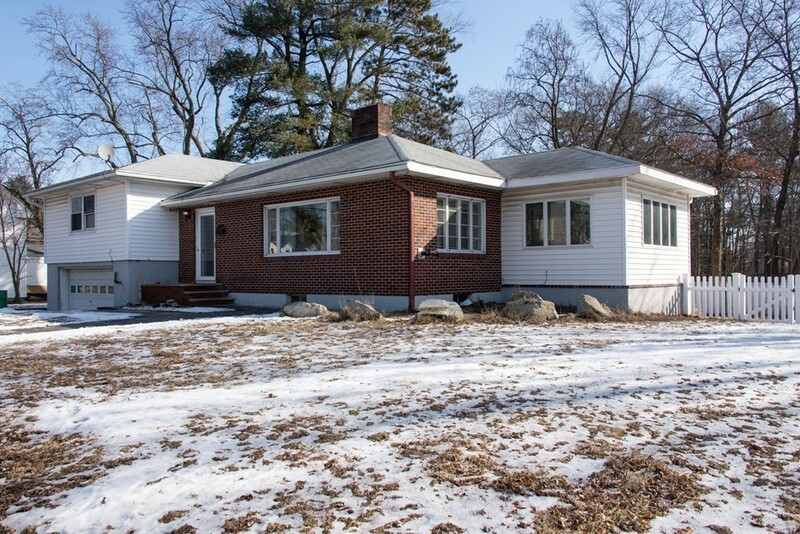 This 6 room, 3 bedroom, 1 bath ranch style single family is ready for a new owner. It features an eat-in kitchen with a gas cook top, wall oven, refrigerator and dishwasher. The living room and bedrooms have hardwood flooring, A bonus room between the kitchen and garage has a sliding door out to the back deck. The 1 car garage has an auto opener, newer door and storage above. There is future expansion possibilities with the walk up attic if needed. The full basement has a bulkhead for exterior access, a laundry area and a work area. There is a large deck overlooking the back and side yards. The 2 storage sheds remain with the property. Some upgrades include replacement windows, newer hot air heating system and a new hot water heater. The property is in need of a new owner's personal touches, but some of the more expensive updates have been done. Make an appointment to see the potential. 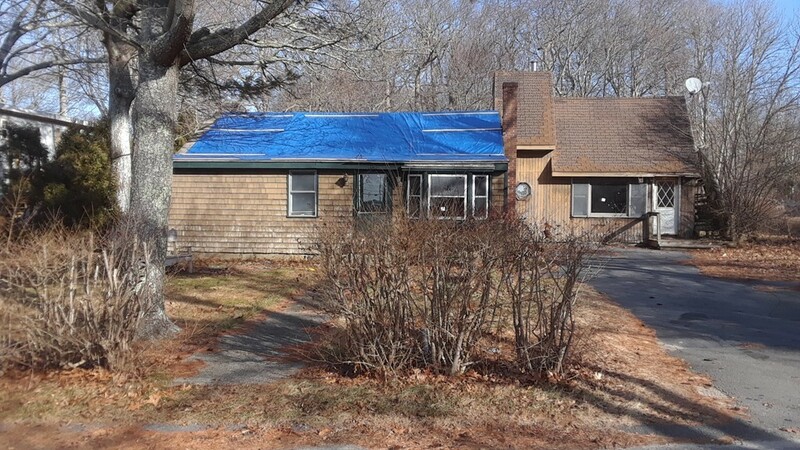 Beautiful renovated cape near Holy Family Hospital. Ideal starter home, featuring 5 rooms, 2 bedroom, 1 bath. This property features hardwood floors, renovated kitchen with stainless steel appliances, 1 car detached garage, yard & much more. A must see to appreciate! Motivated seller! The city record indicates one bedroom, but the 2nd level has a finished room and there's potential for a 3rd bedroom. 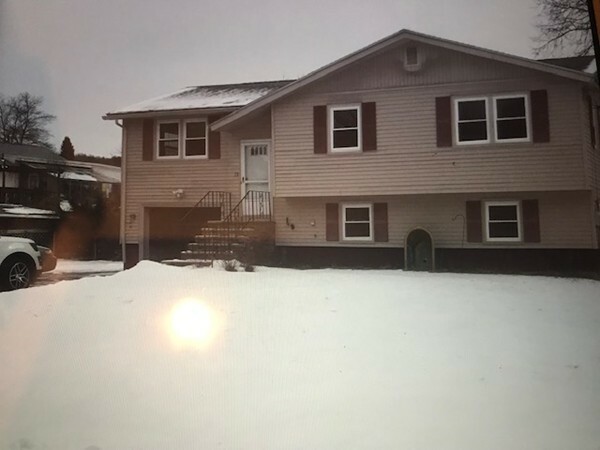 *** HIGHEST AND BEST DUE Offer must be submitted by 1/30/2019 11:59:00 PM Mountain Standard Time***West Island, 2 bedroom Ranch, needs work inside and out, great location; good sized lot. Buyer to assume existing sewer betterment fee. Property needs work on the interior and exterior of the property. Home will not pass all type of financing. Home has mold/discoloration. Buyer and Agents to enter property at their own risk and will hold the seller and it's agents harmless. 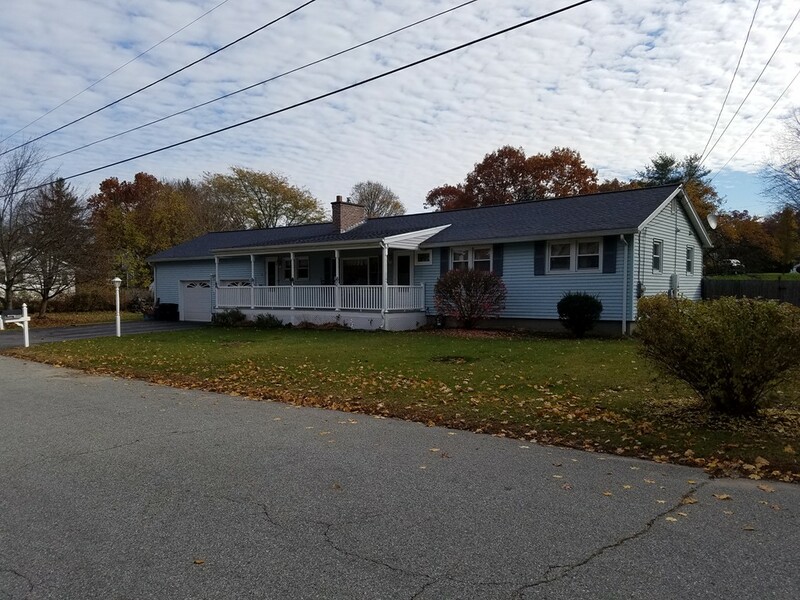 Location Location Location...this ranch style home is located in the sought after Butternut Acres, a quiet, well established neighborhood in the Marsh School district! Great, large fenced in yard with firepit overlooks woods for privacy. Updated kitchen with granite countertops, maple cabinets and stainless appliances. Living room with hardwood floors and wood burning fireplace is great for entertaining. Hardwood floors continue through to the 3 bedrooms. Partially finished lower level with (gas) fireplace provides plenty of space for potential family room, office, etc. Minutes to major highways and shopping! Great opportunity to get into a spacious home with gorgeous yard. Great location with easy highway access and all area amenities. Many updates in this well cared for home. 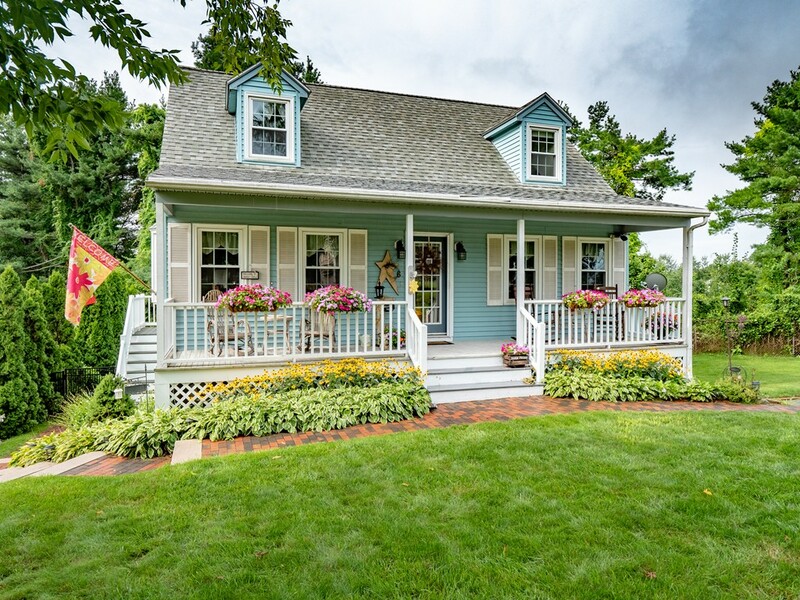 The front covered porch is great for greeting guests or enjoying the surroundings. Make your way in to this very charming home and you are immediately greeted by an oversized foyer with easy access to the formal living or dining areas. The open concept kitchen is a chef's delight while overlooking the cozy family room and wonderful views of the back yard. The upper level bedrooms are comfortable and relaxing. The walk up attic is a bonus for both storage and or future expansion. The private back yard is perfect for relaxing and entertaining. 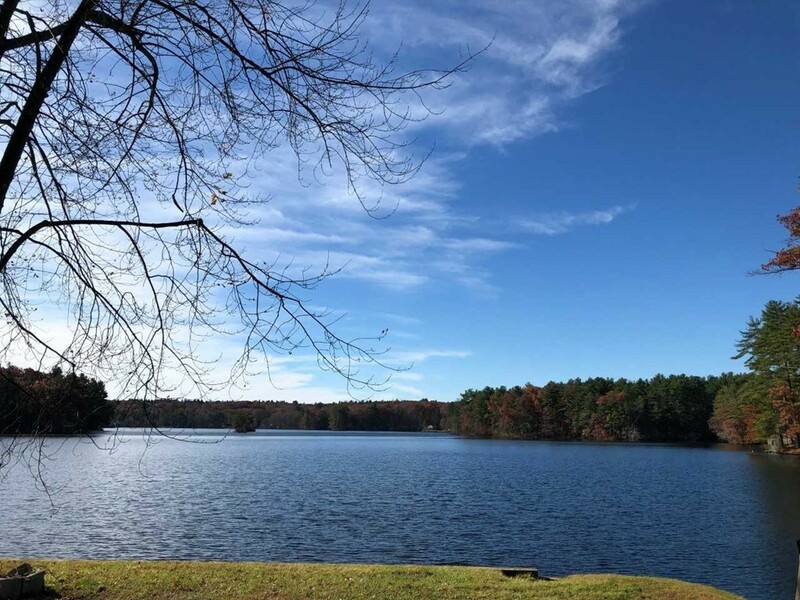 This home is on a beautiful lot with a private deck, two three season rooms ~ one in front and second is in back overlooking undeveloped woods.. The open concept living room includes a breakfast bar in the kitchen and a dining room with sliders to a three season room and back deck, large living room with a wood stove for toasty afternoons watching the birds out of your windows. The master bedroom has a private bath and generous closets. Both 3 seasons rooms have newer windows. Spacious driveway will easily fit 4 vehicles for when company visits. All appliances stay including washer and dryer. Laminate flooring makes for low maintenance living. New water heater. 5 years old roof. Two sheds for all your toys and gardening tools. Welcome Home! 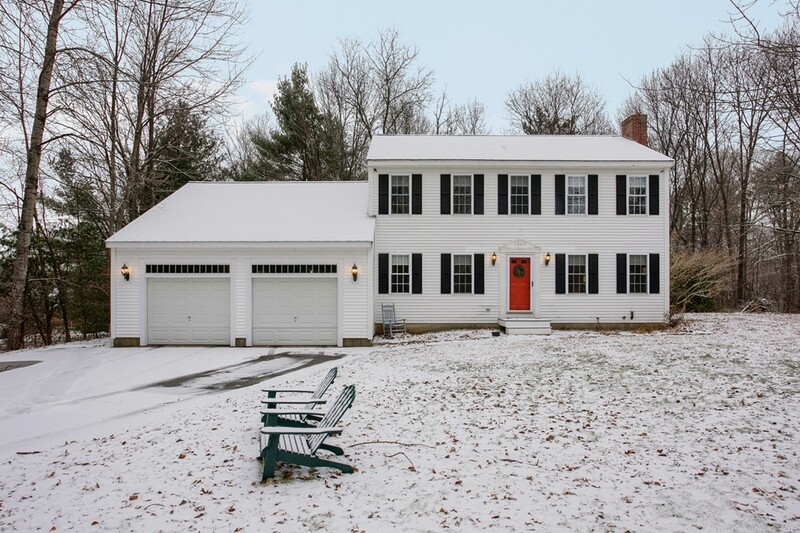 This lovely colonial in Danville NH is looking for a new owner! Step in through the front door to be greeted by gleaming hardwood floors throughout the main level. To your left is the formal dining room and to your right is the tasteful and spacious living room complete with a wood burning fireplace, recessed lighting and plenty of natural light pouring in through the rear slider, which leads to your personal deck. The open layout of the kitchen and living room is fantastic for entertaining guests. In the kitchen you will find plenty of cabinet space and a large peninsula that seats 4, great for casual meals. Upstairs you will find the Master Suite, with walk in closet, 11ft ceilings and a private 3/4 bath attached. Also on the 2nd floor is 2 more bedrooms which share their own full bathroom. No shortage of storage/bonus space in this home! Large basement and loft above the garage can be used how you see fit! 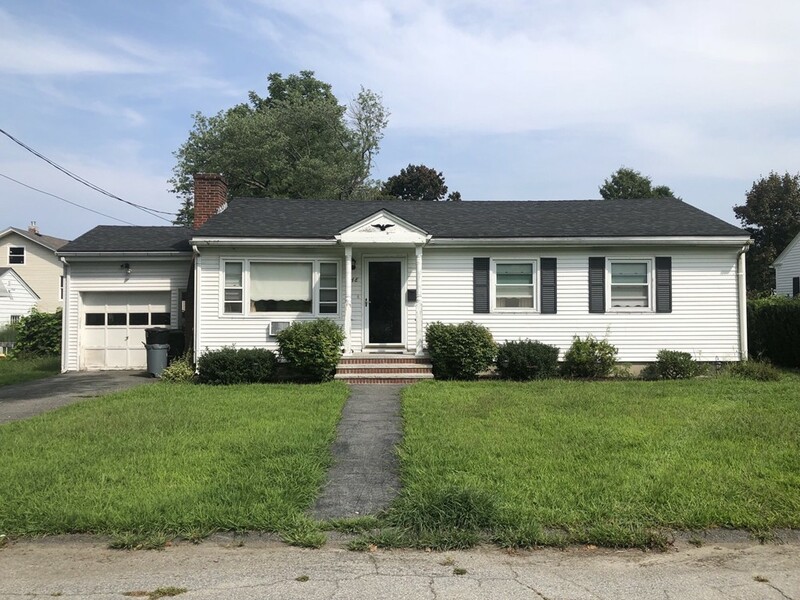 You won't want to miss this one, schedule a showing today! Beautiful tri-level townhouse in desirable East Derry. Gleaming hardwood cherry floors are on the main living area with ceramic tile floors in kitchen & bathrooms. New stove & microwave were purchased in November 2016. 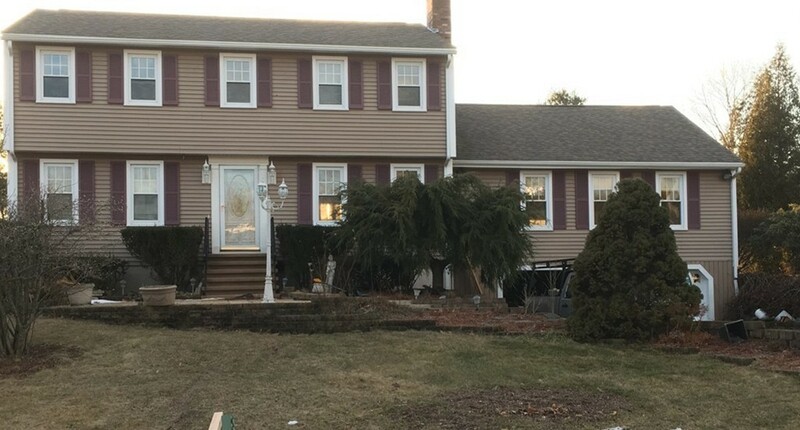 Oak stairs bring you to the second floor where you will find carpeted Master bedroom with double closets & ceiling fan.Tiled bath with step in shower & additional carpeted bedroom complete second floor. Pull down stairs to access attic space. Basement has additional finished space with ceramic tile floors. Furnace was purchased in March 2017 & washer/dryer purchased in November 2016. Interior has recently been painted in soothing neutral tones. Exterior slated to be painted in 2019. Homeowner has stained deck every year they lived here. Parking lot was paved in 2017-2018. In-ground pool on premises for those hot summer day. Derry Village is also a pet friendly association. 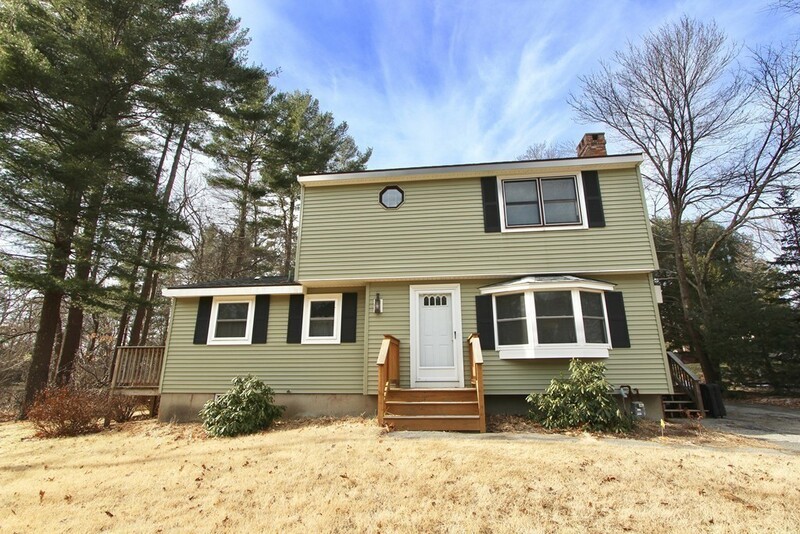 Great location - only minutes to market, gas station, shopping & I-93. Turn key, must see property! If walls could talk, the wonderful family stories this home would share from the last 70 years. 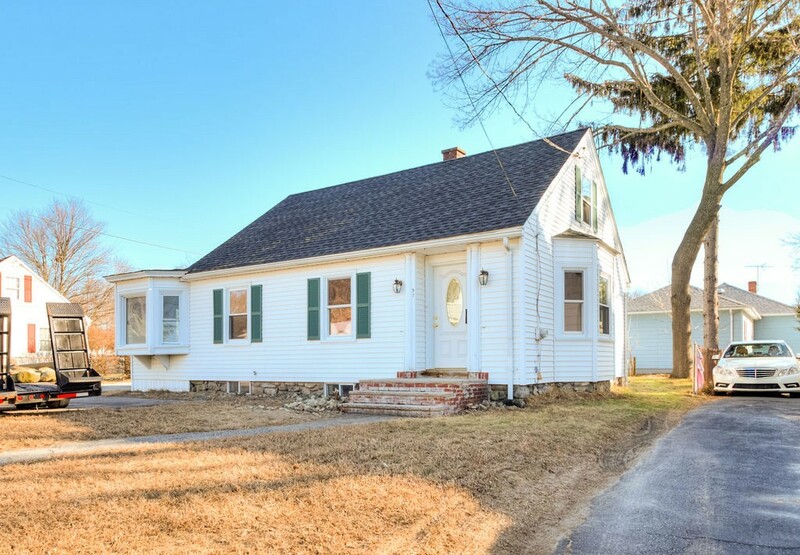 This charming colonial is located in Lowells desirable Christian Hill neighborhood, close to the Dracut line. The 1st floor offers an inviting over-sized foyer, spacious living room, sun filled formal dining room, and a large eat-in kitchen w/ a separate space for cleaning & storing your dishware. Good sized bedroom right off of the dining room. Small bathroom, w/ stand-up shower complete this level. Walk upstairs & fall in love with the stunning newly refinished hardwood flooring throughout this level. Huge master bedroom w/ a bonus room attached - perfect for an office or kids play room. 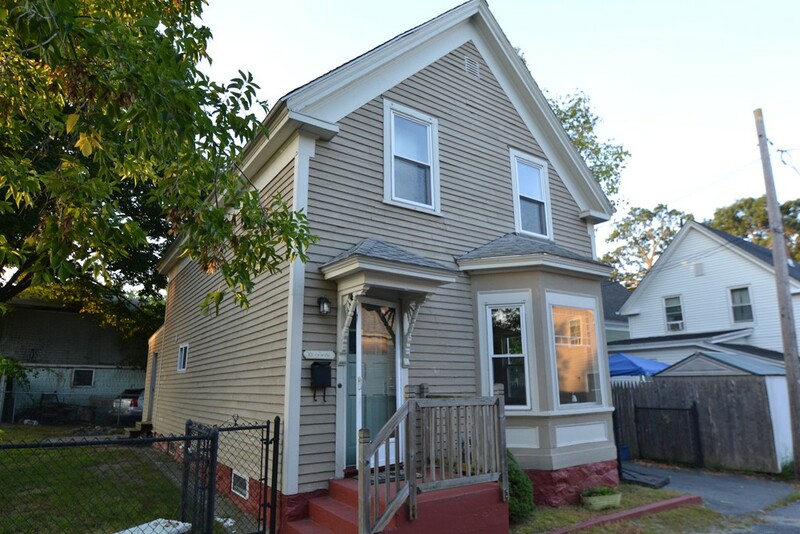 Second floor complete w/ two additional bedrooms & a full bath. Walk up attic is loaded w/ potential to finish for more living space. The exterior features a large fenced in back yard, small storage shed & plentiful off-street parking. Pride of ownership is evident throughout this home. Schedule today! 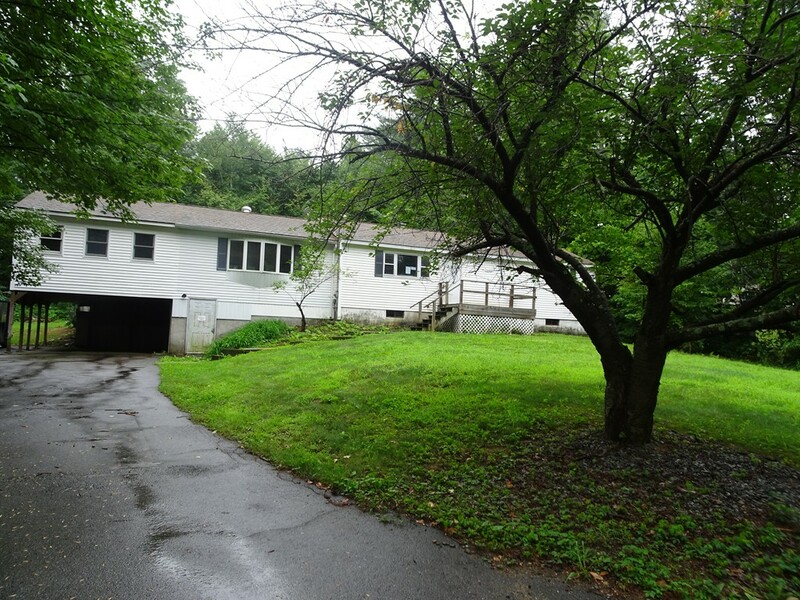 Salem N.H. 3-4 bedroom raised ranch-level lot. Featuring kitchen, living room with wood flooring full bath.. Lower level features a family room, additional room with half bath. Garage under. back yard has a screen house and a swing set. Additional parking in driveway. Located in a beautiful country setting this quality built "Willows" floor plan at the NEW Great Oaks subdivision is a home to be proud of! Perfect for entertaining and gatherings, the 9' ceilings and open floor plan are sure to please. Offering four bedrooms, two and a half baths, cathedral ceiling family room and dining room, open concept kitchen and more! Upstairs is the master bedroom with walk in closet, private bath, tile shower, double vanity and spacious linen closet. 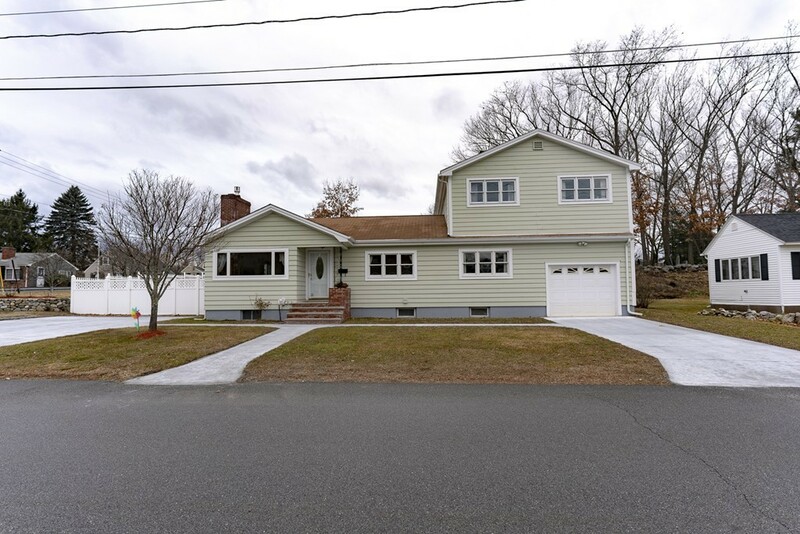 Features include granite in kitchen and baths, hardwood through most of first floor, generator hook up, sod, lawn irrigation, forced hot air, central air and 200 amp electrical service. Enjoy all the conveniences of shopping, dining, hiking, beaches, the city, several golf courses, and more! Convenient location yet tucked away in a country oasis! 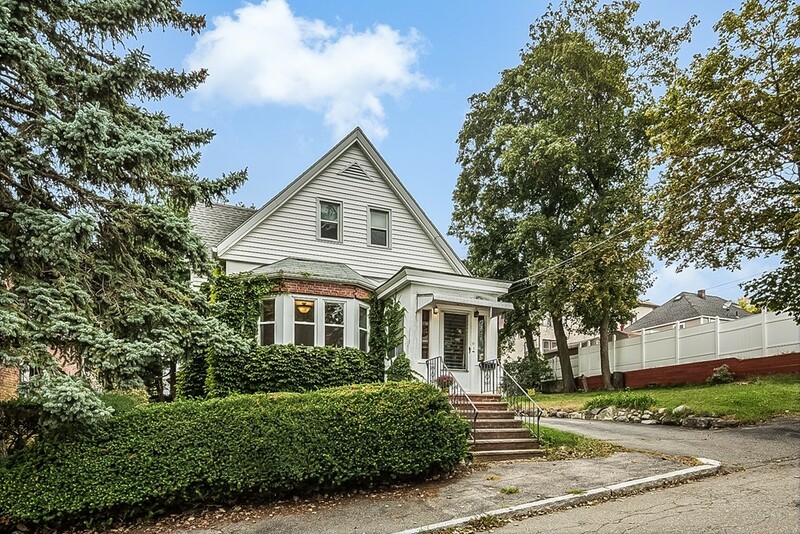 Open Houses Every Saturday and Sunday 12:00 to 3:00.GPS 72 North Street, Methuen.